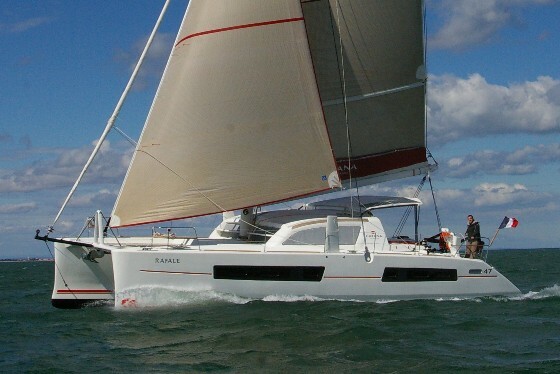 'Grampus' is an S&S Nautor Swan 47 Mark I. This gives her a larger master cabin compared to the Mark II version. 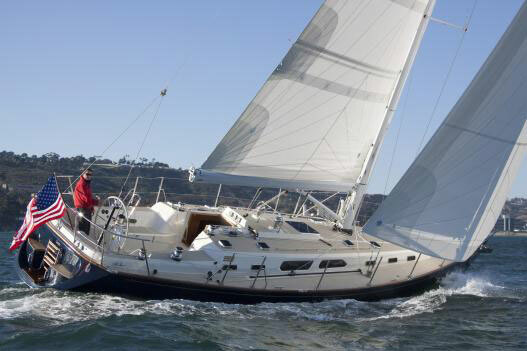 This Nautor Swan 47 has benefitted from continual maintenance and upgrades throughout its life, including an engine rebuild in 2017, new Mase generator in 2001, new electronics in 2011, new sails in 2011, a new water maker in 2008 to name just a few items. 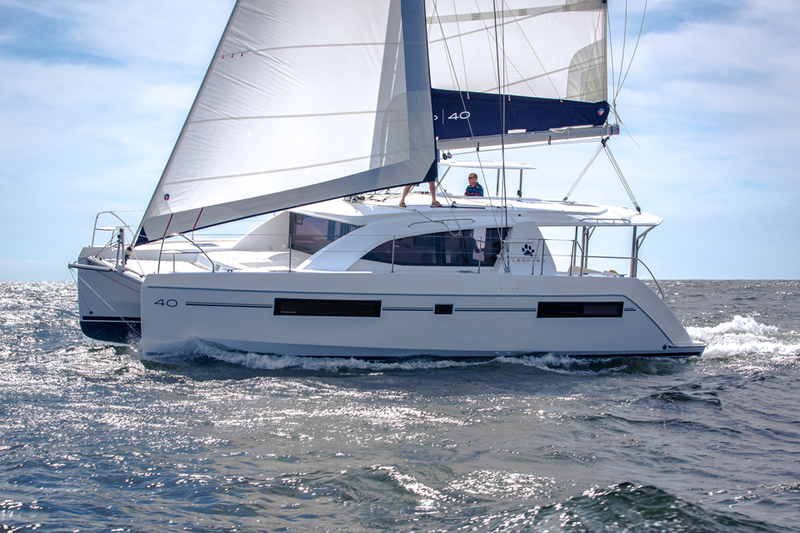 A great boat that navigates in an impeccable, fast and manageable way. 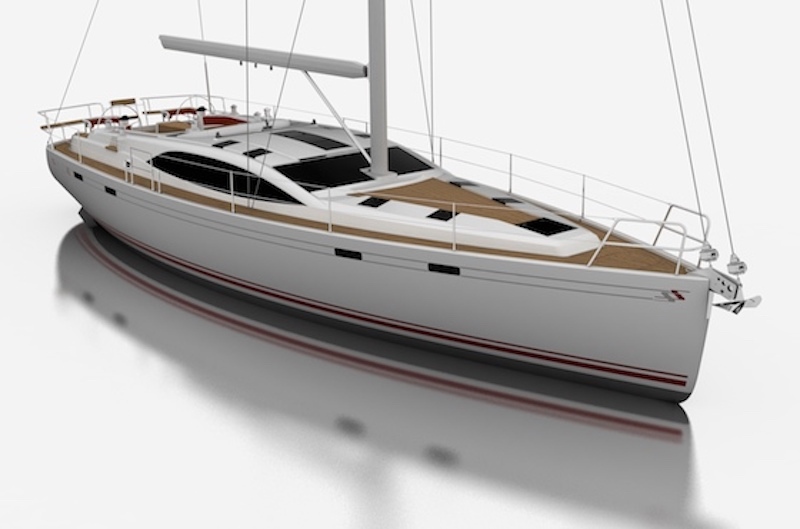 Add the comfort of a new power generator, a desalinator, a motorised furler, a new teak deck with a thickness of 12mm. The Yanmar engine has also been totally renewed with a new shaft line. Propeller Max-Prop. 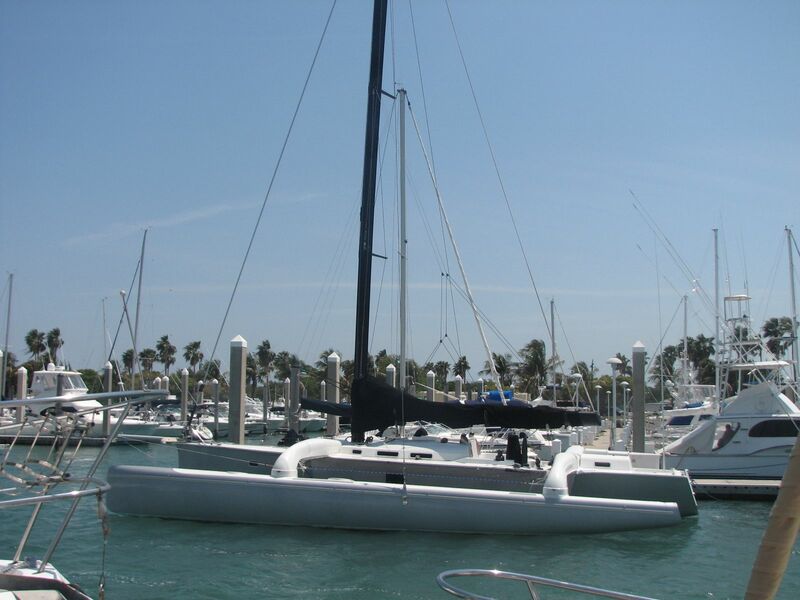 Hull in solid fiberglass stiffened with longitudinal stringers and fully tabbed bulkheads. Deck cored with foam and 12mm teak glued on top. Fin keel, Lead. Rudder with skeg. Hull colour: Awlgrip white with blue cove stripe. Yanmar 62HP @3600 rpm, from 1994, totally overhauled and remachined in spring 2017, new pistons, engine shaft remachined, new injectors, new fresh water pump, new thermostat, heat exchanger overhauled. In 2017 new flexible disc between engine and gearbox. New Vetus flexible joint ( from gearbox to propeller shaft), new Radice seam cup in place of the old stuffing box, new cutlass bearing. 360 liters in three stainless steel tanks of equal volume with large inspection portholes., two are under the settees and one is central under the floorboards and connected by a pump to the other two. Services: set of four, about 440 Ah. Engine and windlass: two batteries, about 240Ah. Autopilot Raymarine SPX 30 gyroscopic new system installed 2011 with new rotary mechanical drive and new fluxgate compass. ST 6002 in the cockpit. Garmin GPS 520s MAP with Echosounder, including detailed charts for all the Mediterranean, about 2015, on the binnacle. Two swimming ladders on both sides, one at portside, fore of the pushpit, the second at starboard at the center. Gates at both exits on the guardrails. Anchor Windlass, Lofrans 1500 w overhauled with new chromed winch and barbotin (2009). 80 meters 10mm chain. Anchor switches at the bow and in the cockpit. 1 CQR anchor 45 lb, 1 Admiralty about 60 lb. Electrical sea water pump at the bow for anchor and foredeck cleaning. Two genoa halyards, two spinnaker halyards, one halyard for staysail, one halyard for spinnaker pole. Backwards one halyard for mainsail, one extra halyard (used for the passarelle), one topping lift for the boom. Spare halyards, sheets for all the sails. 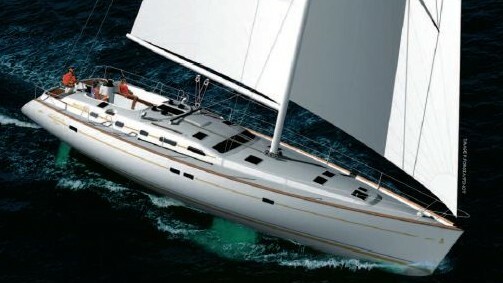 Forestay new 2011 with new electric furling gear from Bamar. Lower shrouds 10mm 1x19, High shrouds in rod. Flying backstays in 1x19. All fixed rigging has been controlled in 2002. Two spinnaker poles, one steady on the deck. One whisker pole. 3- Genoa 130% Hood, good. 4- Olympic jib, Murphy and Nye, old but only once used, perfect condition. 7- Second spinnaker North, rarely used. This boat is lying in Salerno, Italy.